Professional dental care, regular tooth brushing, and flossing are all oral hygiene habits that help preserve the strength and health of the teeth. Unfortunately, even if a tooth is strong, it is susceptible to damage from an oral injury. A tooth fracture can occur when a patient bites down on a particularly hard object, when the mouth is struck, or even as the result of prolonged, excessive wear and tear (such as that from grinding and clenching). When a tooth fracture develops, it is important to treat the tooth to prevent infection or tooth loss. Dental crowns provide strength and protection to teeth that have been damaged or compromised. Dr. Jean Barthman recommends porcelain crowns for tooth fractures at her Redwood City, CA dental practice because they improve the health and beauty of the smile while protecting the tooth from further dental damage. When a tooth fracture develops, the patient may be hesitant to seek restorative dental care. Unfortunately, tooth fractures pose a great threat to the health of the damaged tooth and the overall smile. A fracture in the tooth provides an opening to harmful bacteria. If bacteria reach the inner layer of the tooth, they can cause inflammation and infection at the tooth’s roots. Not only is this a painful condition, it is one that significantly compromises the health and function of the tooth. Without treatment, an infection can even lead to tooth loss. By treating a tooth fracture early on, patients can avoid these dangers and preserve the health and function of the smile. When a tooth fracture is threatening the strength and structure of the tooth, the best treatment option is a porcelain crown. A porcelain crown sits over the natural tooth to protect it on all sides. Porcelain crowns treatment typically requires two dental appointments. At the first appointment, Dr. Barthman will reshape the tooth. During this process, all damaged tooth enamel is removed. What is left is the roots and nerve system of the tooth. After reshaping the tooth, Dr. Barthman will take impressions of the mouth so that the porcelain crown can be fabricated to the unique specifications of the patient. Prior to sending the patient home, a temporary crown will be placed to protect the tooth until the second phase of treatment. A second and final dental appointment will be scheduled when the permanent porcelain crown is complete. Dr. Barthman will put the crown in place to ensure it fits correctly and feels comfortable. Any necessary adjustments will be made before bonding the crown in place. The porcelain crown is bonded to the tooth with a composite material that is hardened with a special dental light. Once the bonding material has cured, the crown should be secure for many years. 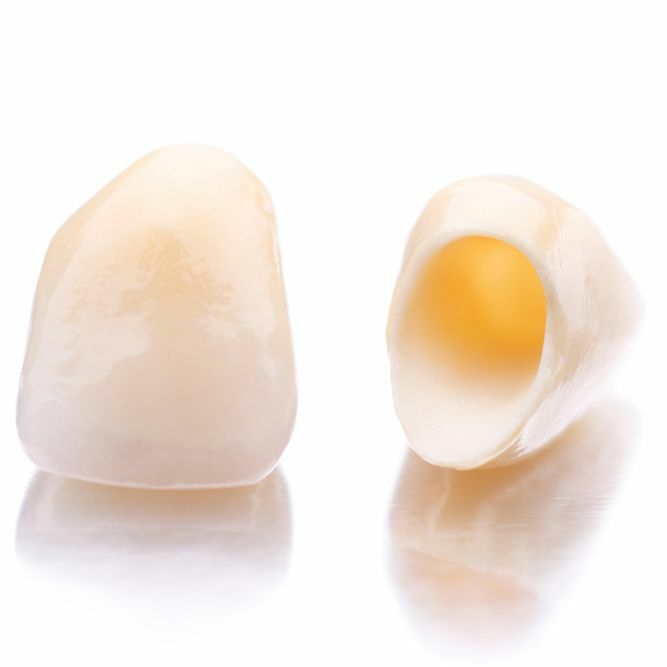 Porcelain crowns benefit our patients in many ways. These restorations improve the strength of a damaged tooth, restore oral functions, and protect the teeth from further damage or infection. Each porcelain crown is also designed with the appearance of the smile in mind. With proper care, patients can count on porcelain crowns to protect a damaged tooth for at least 10 years or more. If you have suffered a tooth fracture, it is important to treat it before further complications develop. Dr. Jean Barthman offers her dental patients effective dental treatment in a caring and comfortable environment. To learn more about our comprehensive range of dental services, schedule an appointment with Dr. Barthman at your earliest convenience.